Siddhu(Vasanth) is a playful youth who works in a mobile store. His only aim is to earn easy money. As time passes by, he falls in love with Mythri(Sehar) who in turn is looking for the murderer of her sister Divya. Knowing this, even Siddhu starts helping Mythri and in the due course of time, Mythri finds out that there are two other girls who have died in the same manner as her sister. Who is this murderer? Has Siddhu anything to do with this case? 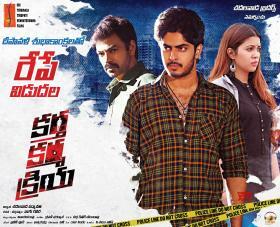 and will the special cop(Ravi Varma) find out who the murderer is? To know the answers, you need to watch the film on the big screen.